A half-brick, half-glass structure that delivers a semi-dodecagon of glazing to flood plants with light and warmth. 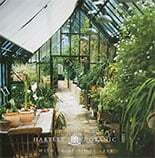 Hartley Botanic supplies a wide range of private and public greenhouses to gardens across the world. With 80 years’ experience in greenhouse manufacturing, we’ve built some of the highest quality, most-recognised, and longest lasting greenhouses in the country. With greenhouses having formed such a crucial part in American gardening culture, we know that any and all greenhouses steal a special place in our hearts, which is why we dedicate so much passion into every single greenhouse that we build. 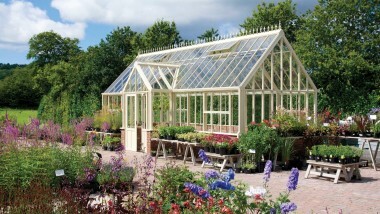 Taking influence from a variety or eras and styles, we also supply a magnificent range of Victorian greenhouses. The Hartley Tradition 6 is a classic pitch roof design greenhouse. The 10' wide greenhouse maximises the growing area, suiting professional growers. The Tradition Planthouse is based on the Tradition range, but designed to be assembled on a single skin brick wall.